Dalwhinnie Winter's Gold is a popular Whisky available from Amazon.co.uk in 70cl to buy online. Visit Amazon.co.uk for the best price for 70cl of Dalwhinnie Winter's Gold or compare prices on our other Whisky products. A lovely introduction to the world of whisky A soft, mellow palate of fresh lemon peel, moving on to honeycomb and fruity sultanas. There is a touch of oak which has notes of cinnamon, all spice and ginger. Highland Single Malt Scotch Whisky Set in Scotland's remote highlands, Dalwhinnie is Scotland's highest and coldest distillery. The exposed mountain pastures offer no shelter from winter's icy winds. Snow blankets the distillery for half of the year. But the harshest conditions can bring the sweetest rewards. Dalwhinnie Winter's Gold is only distilled from spirit made between October and March, our Scottish Winter. As the snow falls and the air is sharp with frost, the cold copper intensifies our liquid and its rich, deep character unfolds. When the winter grows colder, our liquid becomes gentler and warmer. The result is a golden spirit with a smooth, honeyed taste. Hints of spice mingle with soft heather notes, culminating in a whisky as heart-warming as our winters are bleak. Where to buy Dalwhinnie Winter's Gold ? Dalwhinnie Winter's Gold Supermarkets & Stockists. You can buy Dalwhinnie Winter's Gold online in most retailers and find it in the Whisky aisle in supermarkets but we found the best deals online for Dalwhinnie Winter's Gold in Amazon.co.uk, Tesco Groceries, Waitrose Cellar, DrinkSupermarket.com, and others. Compare the current price of Dalwhinnie Winter's Gold in 70cl size in the table of offers below. 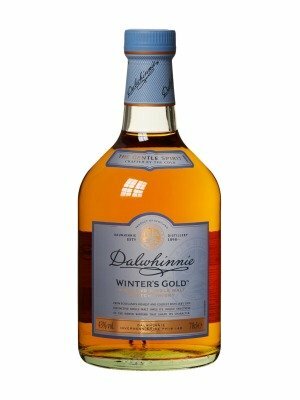 Simply click on the button to order Dalwhinnie Winter's Gold online now.